Our second generation solar controller uses highly advanced technology providing longer battery life and improved system performance. Sets new standards for reliability and self-diagnostics. 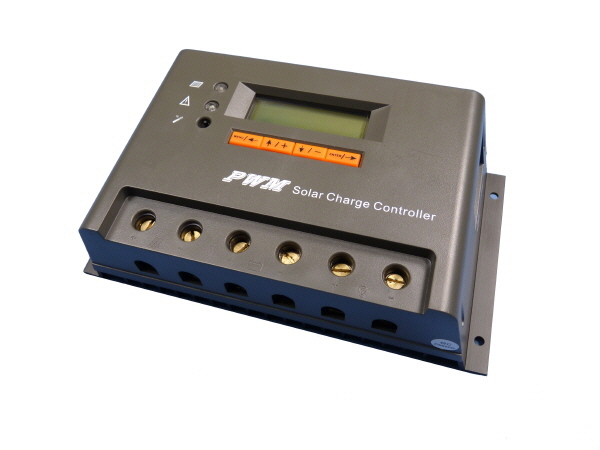 This Solar Charge Controller adopts the most advanced digital technique, displays information via the LCD display and is fully automatic. The Pulse Width Modulation (PWM) battery charging and unique control technology can greatly increase the lifetime of the battery/s. The controller is for off Grid systems and protects the battery from being overcharged by the Solar Panel/s and over discharged by the load.